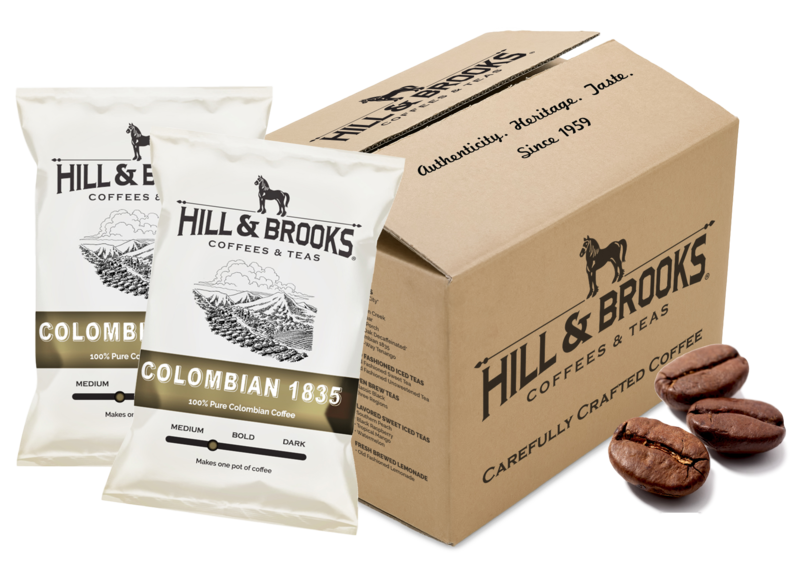 COLOMBIAN 1835: From high in the Andes Mountains, we are proud to serve you coffee made from the finest Hand Picked Selected coffee beans grown anywhere in the world. 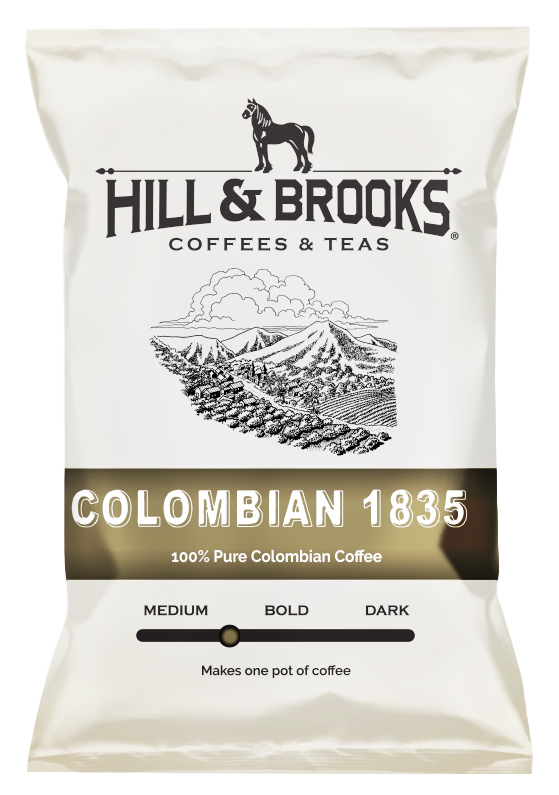 Colombian 1835 commemorates the fist year coffee, a national treasure, was exported from Colombia. Cupping Note: This crisp medium-bodied coffee has a rounded flavor of bold dark fruits balanced with a hit of caramel and soft chocolate undertones. Bright acidity is noted, which is noticeable lift to the dominant flavors. Countries of Origin: Antioquia, Colombia. 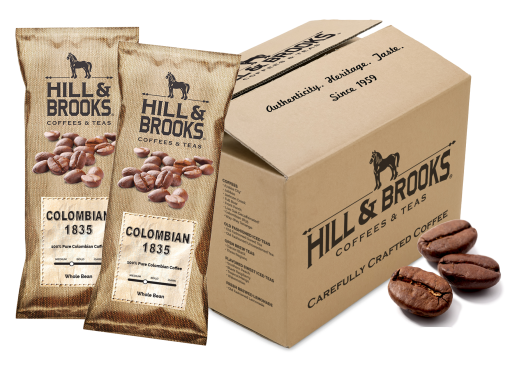 Sourced directly from individual micro-fincas by our partners, Los Andes, our ultra-premium blend of Colombian beans is carefully processed by hand. Having the support and cooperation with our growers allows Hill & Brooks to maintain a high level of consistency with our 100% Colombian offering that few can match.